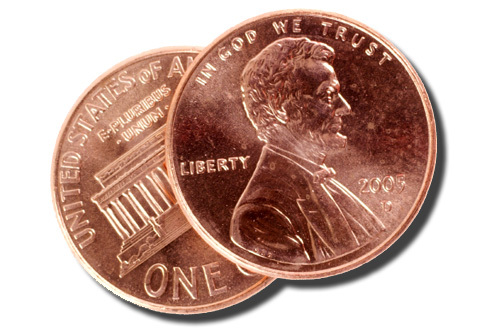 You may have noticed I started writing “Two Cent Tips” at the bottom of my page each time I post. I am breaking my own rules and writing a whole post about it. Rules can be broken. I break my own every day. Especially the “no cookies I am dieting” rule. Those always go out the window. There’s a reason for these small tips. Sure, it’s cute. It’s catchy. ‘Two Cent Tips’ has a fun ring and rolls off the tongue. It’s my own little branded way of offering some small form of advice that will maybe stand out on the internet plagued with ‘professional’ content hounds and advice-o-matics- especially on money advice. But, to me, it’s more than that. It’s a way to say you too can save a few nuggets of knowledge, or a few very real shiny cents each day. The little things can be a small percentage on a cup of fancy coffee because hey for calories sake we won’t get a large, plus it saves me 80 cents. Or, it can be a tip to spend more time with your kids because we all can save all the money in the world, and you still can’t stop time, they are growing a little taller and a little wiser, and a little more sarcastic every day. But tips shall come and tips shall go. My advice still goes back to action. Do something. Even if it’s a little. I did something actionable this week. All week, I have been watching you tube videos, reading articles, and teaching myself how this whole online mega-industry works. I learned from all my time investment, whether you are a stay at home mom wanting to make a few extra bucks, a teacher with the summer on her hands, or a working professional mom who’s already too busy to try one more thing but is going to do it anyway–ahem– we all know the last one is me– trying ( and likely failing a few times) is never a bad thing. So, here’s to one more post and one more day, one more idea. Two cent Tips will take off- I know it. I got this. Sure, it’s convenient. Today is “prime day’ after all, so we should all bow to the low cost, convenient, merchandise fulfillment gods of the 21st Century. But, in looking at ways to ‘make’ money, I realized something. People all over the internet are looking to steal your money and that’s Amazon alike. Want an interesting read- look up retail arbitrage and everyone buying low and selling high to make a buck– off of you the consumer I night add–on Amazon. It’s a thing trust me. So, in light of all my learning, if you can’t use a coupon or get a ‘deal,’ take a step back. We just ordered on Jet.com for the first time yesterday and we saved a boat load over what we would have spent on Amazon. We got a pool filter, and all sort of needed house hold items at a major discount. Does anyone care what ‘brand’ your pool filter is? And I am not cool enough to figure out Marketing affiliate links and AdSense yet, but If I could– the link to Jet.com would be right here- and hopefully you could save a boatload too. They offer 15% off your first order! !